Now that the set-up heavy 'Rebirth' issue is out of the way and the on-going series Green Lanterns by Sam Humphries and Robson Rocha has been unleashed we can sink our teeth in this entertaining and exciting new title. The clever match-up here has newly deputized Jessica Cruz with the slightly more seasoned Lantern, Simon Baz, on their first mission. It starts out as a police procedural, turns into X-Files, and then suddenly has a Walking Dead vibe and it all works. In order for this buddy-cop drama to work the two have to gel with dialogue that feels natural and displays some sort of chemistry and Humphries does exactly that without trying too hard. It's a genial brother-sister relationship with Jessica being more deliberate and Simon the more spontaneous cocky one. It's never mean-spirited between them and this new era of 'Rebirth' has at least made characters likable again. There's an unauthorized alien presence they have to investigate. Needless to say, they find more than they bargained for including a visit by A.R.G.U.S. Something is amiss and whatever it is, has its sights on the Lanterns. A familiar foe emerges and just like that you're hooked. Humphries balances developing the plot with developing the characters like Simon's resentment for being detained on suspected terrorism charges by Amanda Waller. Robson Rocha puts in some work by laying out an energetic sequence of scenes and jaw-dropping splash pages. Inker Jay Leisten has his work cut out too but creates a fully fleshed out world with depth and shadow. Obviously, a Green Lantern book requires some compelling color work, it has green in the name after all, and Blond brings it with some electric greens, reds, and yellows. The art comes together nicely, succinctly, and dynamically. 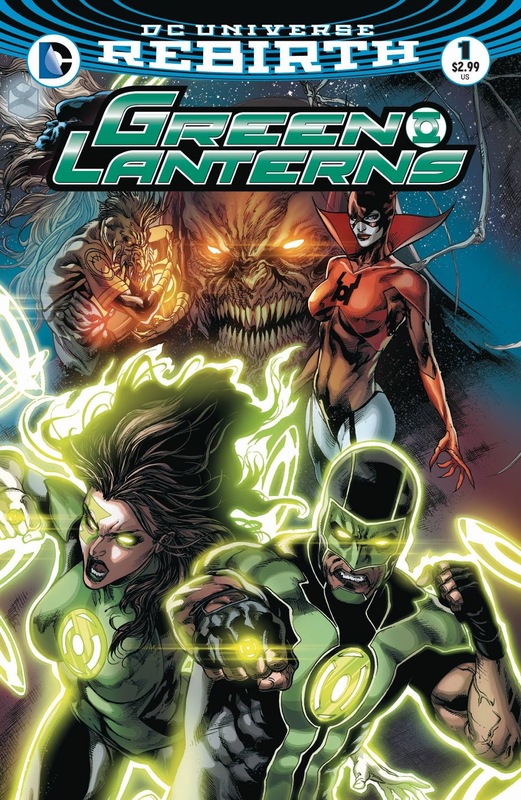 Green Lanterns, for the most part, is accessible and completely engaging. It's compelling and addictive. It features two grossly underused characters of color that shine brightly together and are off to a perfect start. Humphries, Rocha, Leisten, and Blond make this title hard to ignore and definitely worth your time.